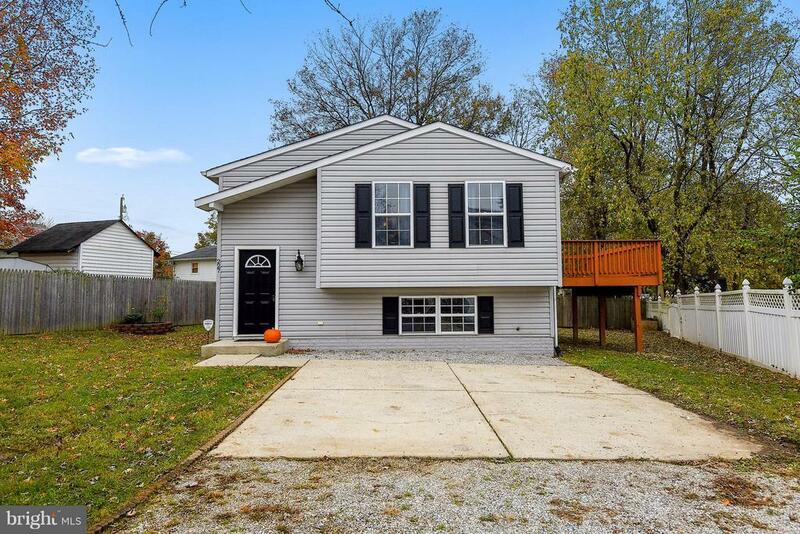 Lovely split foyer home with modern upgrades throughout. Kitchen boasts granite counters and stainless steel appliances. Large deck for entertaining is located off the kitchen. Beautifully tiled bathroom, antique bronze fixtures, updated ceiling fans and light fixtures throughout the home. Hardwood floors in kitchen and dining room. Fresh paint throughout entire home. Master has en suite. Huge finished basement with family room / rec space and 4th bedroom. Large storage shed in mostly privacy fenced yard. Seller is offering a 1 year home warranty! Large driveway with off street parking. Home is situated on a flag lot. Conveniently located near major shopping centers, restaurants, grocery stores, strip mall and highways (695, 97 and 10).